MSRP shown does not reflect actual price of the vehicle. MSRP does not include any dealership added accessories that might have been installed. All prices subject to availability. Make an appointment with the Internet Department for best available deals. To make your appointment contact the Internet department today at 808-564-9900. Internet appointments come with hassle free negotiations. Come check out the better way to buy. MSRP is not an offer of sale or our actual selling price. MSRP does not include tax, title, documentation fee of $295. MSRP may not contain all dealer installed accessories, options or up fit costs. See dealer for information.Dealer prices may vary based on availability. 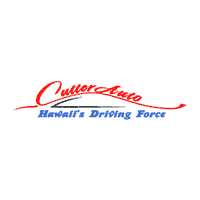 Please verify any information/pricing in question in person with appointment through our friendly internet sales department 808-564-9900. While every reasonable effort is made to ensure the accuracy of this information, we are not responsible for any errors or omissions contained on these pages. Tax, Title and Tags not included in vehicle information shown and must be paid by the purchaser. Cutter CDJR of Pearl City	21.3934728, -157.970886.